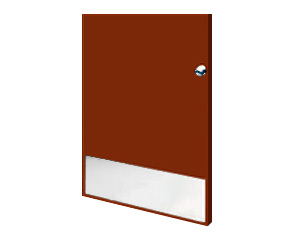 Anodized Aluminum Kick Plates The diamond plate corner guard provides a high tech industrial look, while protecting corners against impact damage. 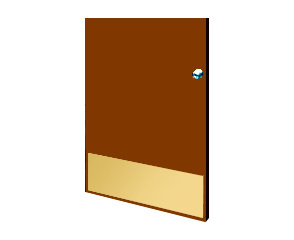 Brass Kick Plates Our flush mount corner guards are designed to be used in new constructions. They provide a neat finished look, that serves double as great protection. Diamond Plate Kick Plates Our foam corner guards protects people from injuries caused by bumping into hazardous corners and edges. The foam corner guard comes in a variety of colors, and is incredibly easy to clean and maintain. 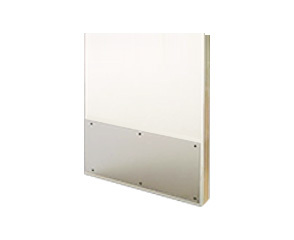 Polycarbonate Clear Kick Plates Our heavy duty corner guards offer maximum impact protection to wall corners and end walls in both commercial and industrial environments. Vinyl Kick Plates Our clear polycarbonate corner guard lets your paint color or wallpaper design show through. The lean comes in a variety of colors to match nearly any decor. 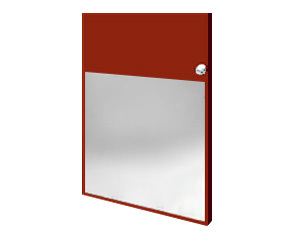 Push Plates Aluminum Corner Guards, Brass Corner Guards and Stainless Steel Corner Guards for all situations. Chair Rail Our clear polycarbonate corner guard lets your paint color or wallpaper design show through. The lean comes in a variety of colors to match nearly any decor. Browse our selection of mop plates, kick plates and armor plates. 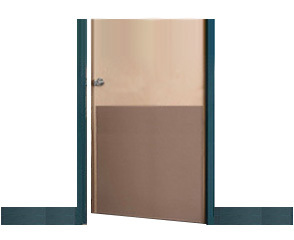 We offer affordable, high quality door protection. 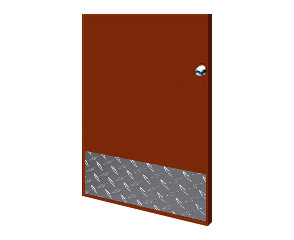 TheKickPlateStore's kick plates and door protection offer durable, economical protection against constant punishment from equipment and pedestrian traffic. 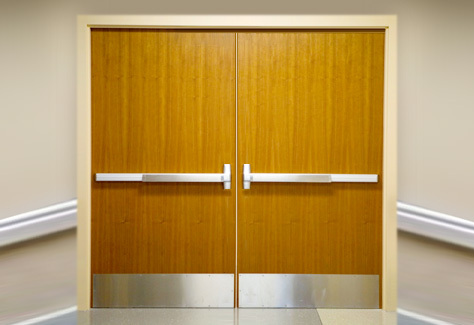 Protect your doors from kicks, carts, wheelchairs, dollies and more. The wide selection of easily installed stainless kick plates, aluminum kick plates, anodized aluminum kick plates, brass kick plates, diamond plate kick plates, polycarbonate (clear) kick plates, vinyl kick plates, custom door frame guards, door edge protectors, push plates and chair rails. We offer a variety of solutions for complete impact resistance. Contact us for custom size kick plates or call us at 800-517-1056 and speak with our knowledgeable staff. We can fabricate any size kick plate; drilled kick plates, pre-taped kick plates and countersunk drilled kick plates. We can provide an approval drawing showing dimensions on custom fabrications if required. There are over 8,000 products on TheKickPlateStore. We will help you find what you are looking for. We have had the most awesome luck with TheKickPlateStore . Orders always show up correctly and on time, prices are affordable, and the quality and precision of the products is brilliant. Jeremy is efficient, accessible, and easy to work with. I recommend them very highly. TheKickPlateStore is a great vendor to work with. The Customer Service Department is knowledgeable and prompt with responses. Excellent customer service. Excellent products. Excellent lead time. It is hard to understand the pressure we are under when we choose a new source for materials. We do custom decor for elegant offices and upscale architectural environments and choosing TheKickPlateStore was not easy. We needed a Brushed Aluminum angle that would be seen from both sides as in a picture frame so the finish had to be exactly the same on both sides. After ordering a sample piece and several discussions later to clarify details I ordered several hundred feet of #4 finish brushed aluminum angle. They shipped on time and we received it ahead of schedule. To say we are pleased would be an understatement, as it arrived as promised and perfectly done. The rest of the story is; I could not find anyone locally that would produce this for us in the time frame and guarantee the results. I can say that we were treated very well and professionally speaking these guys know their business. You can trust them 100%.